The roles exist and evolve during various phases of discovery/connection during Unicast (peer-peer) or Broadcast connections. 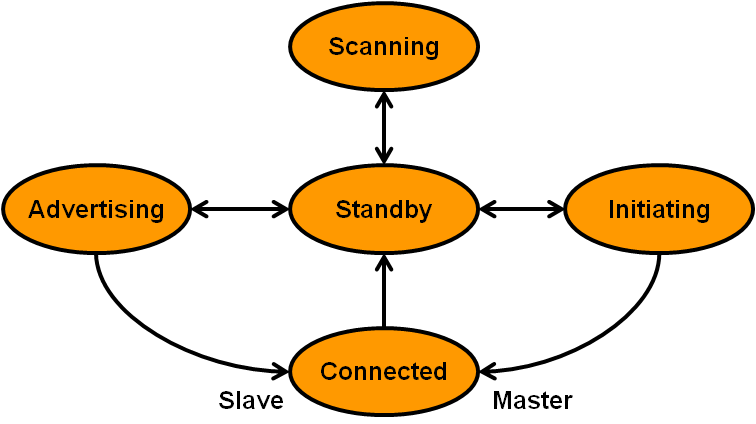 The following diagram depicts two BLE hosts, initially in a Standby (unconnected) state. 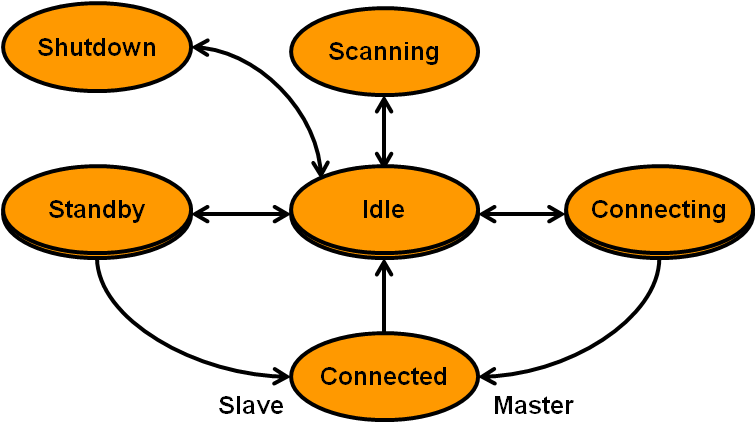 They enter a Discovery state whereby the device wishing to be discovered becomes the Advertiser and the host wishing to connect becomes a Scanner. The Advertiser sends advertising packets containing basic information about the host. All Scanners receive these packets. 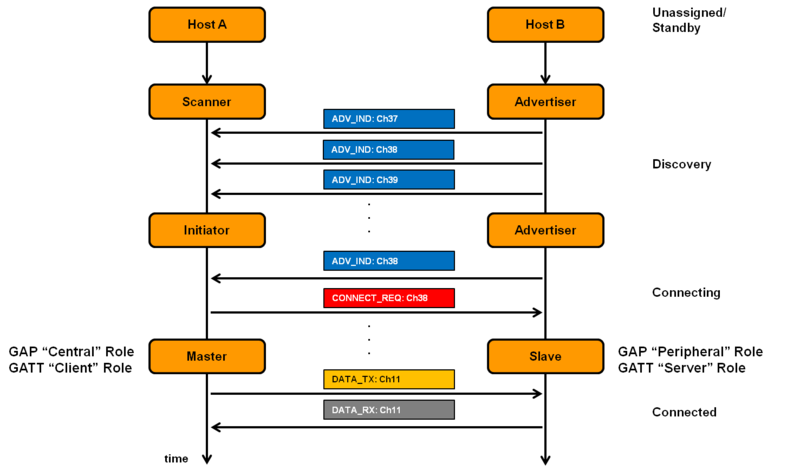 Note that the Link Layer Master is also the GAP Central and GATT Client, while the Link Layer Slave is the GAP Peripheral and GATT Server. 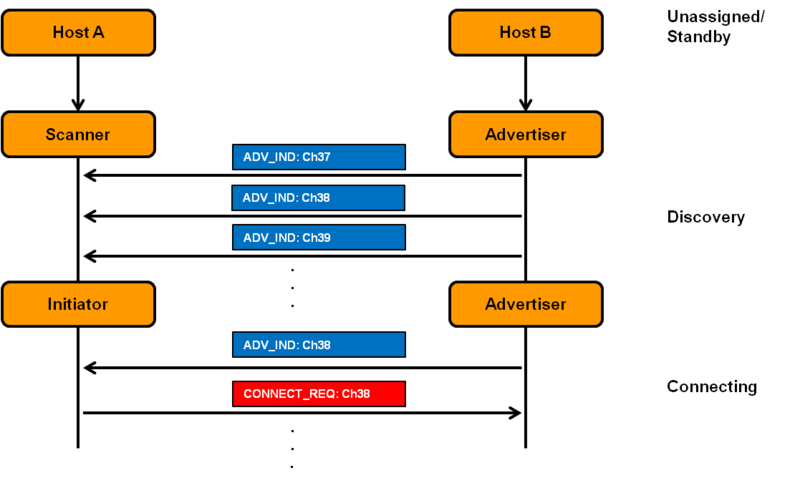 For broadcast connections, the link layer roles do not change. 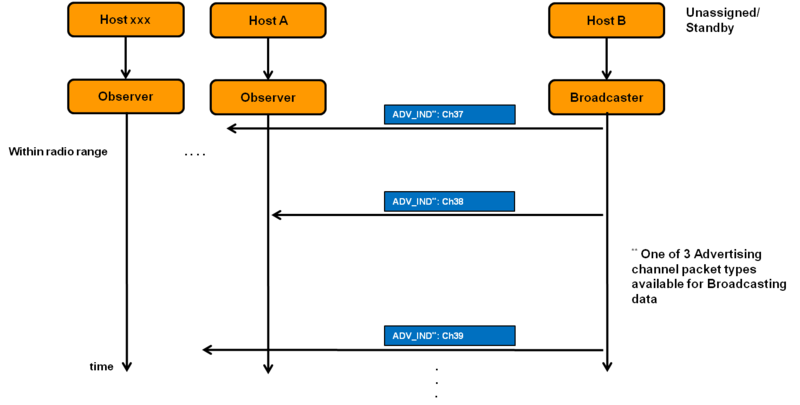 The defined roles are Broadcaster (the host sending the packets) and Observer. Note the additional state (Shutdown) which is not defined in the BLE specification.